This is the main reason that people want security systems installed in their houses, and who can blame them? Everyone wants to feel the most secure in his or her own home. Intruders tend to steer clear of homes that are obviously equipped with cameras that could identify them. A video security system could potentially decide whether your house is robbed or left alone. If a trespasser does attempt to break into a home that is equipped with a camera security system, then it is easier for police to potentially find and arrest that person. Without video footage, it is more difficult to identify the intruder; therefore, making it less likely to catch the criminal. 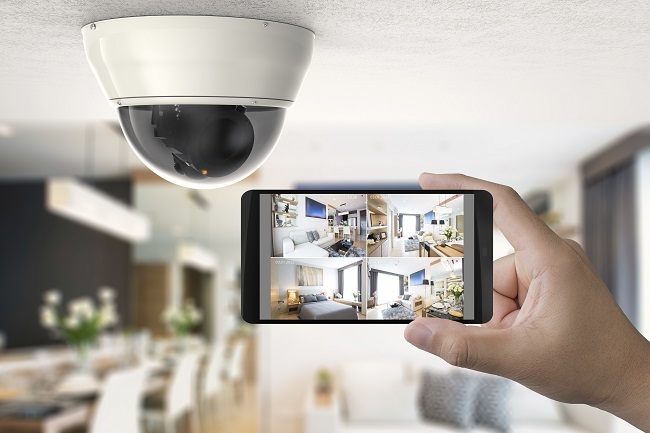 Most video security systems allow the homeowner to view his or her house through the eyes of the cameras via a smartphone or another mobile device. This feature is important because it could be the difference between catching a trespasser and returning from a trip to a ransacked house. For example of how this feature works, if you were to go on vacation, you could view video footage in real time, and upon seeing suspicious activity, call the police to investigate. Now that you have some information about wireless video systems, you can dig a little deeper to see which system is right for you and your family. We know that it is extremely important that your home be safe from intruders of any kind, and these systems can keep you and your family away from all types of danger. If you have any questions regarding the installation of wireless video security systems, don’t hesitate to contact us.